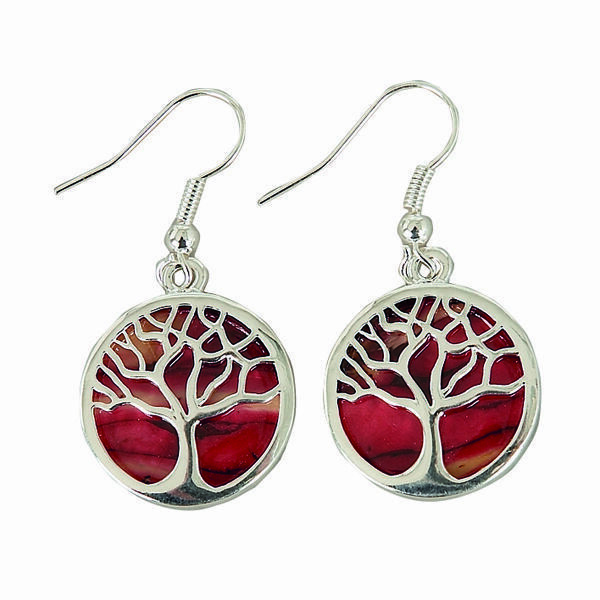 Tree of Life Silver Plated Heathergem Earrings. Supplied in a gift box with story card. Heathergems are unique and no two are ever exactly the same.